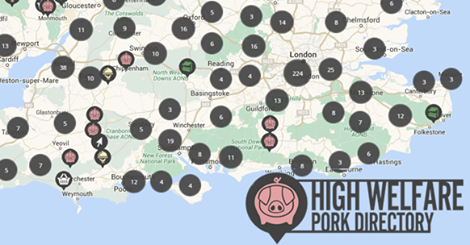 Helping you find pork from farms, shops & restaurants that you can trust. Please enter a postcode or placename below to find results in a particular location. Want to edit or change the information on a current listing? Please contact us. Thank you for supporting high welfare pig farmers! Note: This directory is not an accreditation scheme and is therefore, though moderated, generated on trust. We would like consumers to use this directory only as a guide while making their own informed shopping choices. 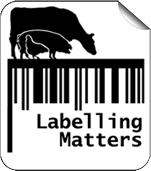 Always check directly with the supplier first or look for high welfare labels. Restaurants and retailers must give consumers the option to buy pork produced to a minimum of RSPCA Assured standard, or above. Farms must be certified RSPCA Assured or above – or, if not certified, must be able to meet the minimum requirements for RSPCA Assured certification. 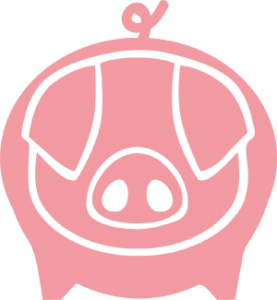 For more information about pork labels, methods of production and questions to ask retailers, click here.